This raw food and vegan recipe is a gourmet gazpacho soup recipe topped off with avocados. 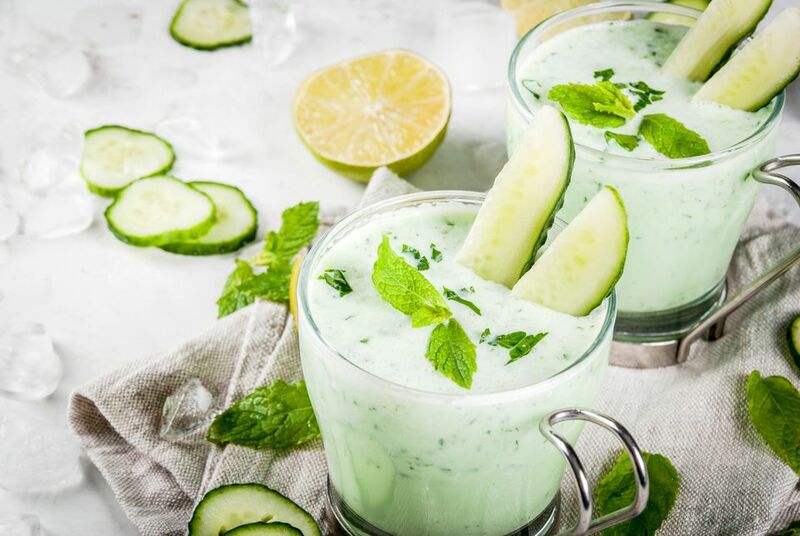 It's raw, refreshing and healthy! If you're not eating raw, you might want to add a dash of hot sauce or use vegetable broth in place of the water for a little extra flavor. Either way, this avocado gazpacho soup recipe is delicious! With nothing but avocado, cucumber, tomatoes, onion, lime, and chili, this soup recipe is completely vegan and gluten-free too. Reserve about 1/2 of an avocado, diced, for garnishing the soup. Blend the remaining ingredients until smooth and adjust seasonings and add a bit more liquid to taste. Top off your soup with the extra avocado dices.